When this was the signage in the women's bathroom, I knew I'd found a new home away from home. This New York style delicatessen is located in Houston, Texas, right down the street from the Houston Galleria. Instead of be-laboring the point, here's a link to their menu and more. Kenny & Ziggy's. 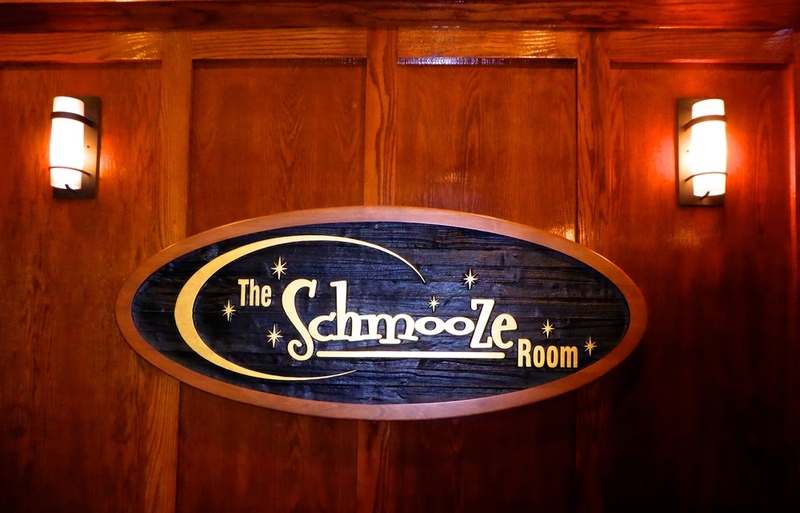 The Schmooze Room, you think? They understand hospitality at every level.